Have you seen Craig speak? Leave a review. The “Extraordinist” Craig Karges is an award-winning entertainer, author, and speaker, who has made over four thousand appearances across four continents, seventeen countries and all fifty US states. His performance combines the art and mystery of magic with the science of psychology. To this mix he adds the power of intuition, bringing to life the notion that nothing is impossible. Challenge your imagination while Karges floats tables and bends metal; he reads minds and astonishes audiences everywhere. There aren’t any supernatural forces at work when Karges is on stage, no matter how unbelievable things might get. It may seem beyond reality, but Karges says that he has never prearranged anything with audience members, nor does he rely on accomplices to gather information. In fact, he offers $100,000, payable to charity, if anyone can prove he does use such tactics. Experience the Extraordinary, his touring show, was named one of the top five variety/family shows in North America by Performance magazine. 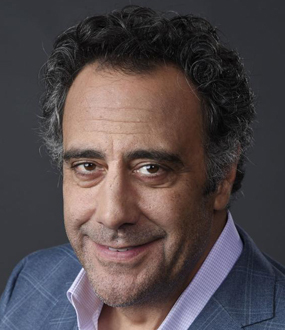 They described it as “the next era in mystery entertainment.” Performance’s list places Karges with the likes of David Copperfield and Disney on Ice, a testament to his capabilities. The international Psychic Entertainers Association named him the top performer in his field, worldwide. The National Speakers Association (NSA) honored him with the designation of Certified Speaking Professional (CSP) and the CPAE Speaker Hall of Fame Award. With his program “Ignite Your Intuition” Karges transitioned from merely entertaining audiences to empowering them, teaching them to flex their subconscious mind. The program encourages audiences to do just that: to engage their intuition and look in new directions for creativity and decision-making. The program is so successful that Karges turned it into his first book. The program is so successful that Karges turned it into his first book of the same name, published by Health Communications, Inc., best known for the Chicken Soup for the Soul series. The “Extraordinist” has made more than forty television appearances on a host of shows, including The Tonight Show, Larry King Live, and CNN Headline News. Networks he has appeared on include Fox News Channel, CNBC, E! Entertainment Television, Lifetime Television, Wisdom Television, and SOAPnet. Add to that two one-hour specials and it’s easy to see that Karges is an in-demand personality. Craig Karges’ corporate client list ranges from McDonalds to AT&T and from NASA to the Mayo Clinic. Corporations have relied upon the extraordinist and his unique abilities not only to entertain their employees and clients, but also to motivate them. We invite you to “Experience the Extraordinary” with Craig Karges. In this demo video, you can witness some of the amazing, imagination-challenging feats Craig performs. You will see tables float, books topple, and minds being read. Craig gives four audience members a chance to describe a car. They have to pick the model (a Mini Cooper), the color (Kelly green), create a license plate (NY1983), and come up with a cost. The young woman that comes up with the cost of $37,851.27 changes a number at the last minute, from 30 to 37. Still, when a sealed envelope is taken from Craig’s wallet and the contents of a pre-written note are read, every detail is correct—including the $37,851.27 on the dot. Blindfolded, Craig still manages to astonish audiences as he correctly guesses the objects in front of him, down to the name and state of issue on a driver’s license. For over fifteen years, Craig Karges has been traveling the world, astonishing audiences with his extraordinary presentations. Craig is a dynamic speaker that entertains, energizes, and motivates people to do, and be, more. Audience participations keeps everyone engaged and entertained as Craig combines intuition, psychology, and illusion into a powerhouse performance. Beyond just a speaker or entertainer, Craig was named one of the top five variety entertainers in the country by Performance magazine. He has a multitude of television credits to his name, ensuring that Craig is one of the most talked about speakers you will ever engage. Each presentation is customized for the audience and can incorporate a company’s product or sales message, and include strong motivational content. It will be the most unique program you’ll ever see. With “Experience the Extraordinary,” you’ll get a combination of magic, psychology, and intuition that will make you think that nothing is impossible. “Ignite Your Intuition” focuses on empowering participants by teaching memory techniques, and helping people tap into their subconscious minds for greater creativity. Discover what thousands of meeting planners within corporate America have experienced with extraordinary results by making Craig Karges a part of your next event. Craig has traveled globally for fifteen years delivering his extraordinary presentations to corporations and associations. Craig energizes, entertains and motivates his audiences. He combines intuition, psychology and illusion with amazing facts about our potential as human beings. His use of audience participation guarantees that you don′t just watch this presentation, you experience it! Craig is not just an entertainer and he is much more than a speaker. He was named as one of the top five variety entertainers in the country by Performance Magazine. He is a Certified Speaking Professional as designated by the National Speakers Association. 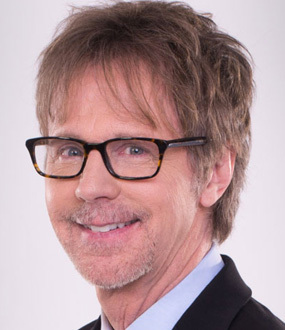 His television credits include The Tonight Show with Jay Leno and Larry King Live as well as appearances on CNN Headline News, CNBC, Lifetime Television, The Nashville Network, E! Entertainment Television and United Paramount Network. 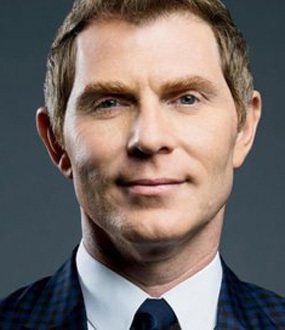 Craig will be the most talked about presenter that you will ever engage. He can incorporate a company′s product or sales message, include a strong motivational content or just provide you with the most entertaining and unique program you will ever see! And the Craig Karges experience can be heightened by arranging for Craig to present "The Intuitive Edge" workshop in conjunction with his primary program. Craig Karges creates a first class presentation that not only thoroughly entertains but challenges the mind and leaves people talking. Call today to experience the extraordinary! Which events would you like to turn from ordinary into extraordinary? In a shift of focus from entertainment to empowerment, Craig Karges created “Ignite Your Intuition.” This one-of-a-kind presentation does more than simply amaze and entertain. Participants learn memory techniques; their intuition is tested; and they are taught how to tap into their subconscious minds to enhance creativity and decision making. “Ignite Your Intuition” is a hands-on, interactive session that awakens participants to the possibility of reaching their full potential while experiencing greater personal power and achieving success more easily. presentation, so suffice it to say that we really are completely satisfied. 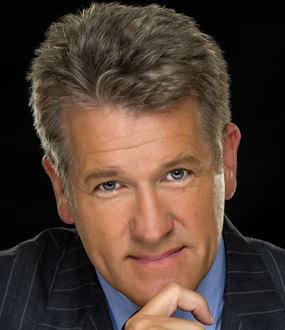 Extraordinist Craig Karges is known to millions of television viewers for his remarkable demonstrations of extraordinary phenomena on The Tonight Show with Jay Leno, Larry King Live, and many other TV shows. He presented his one-man touring show “Experience the Extraordinary” at performing arts centers, universities and corporate events in over 150 cities worldwide in 1998. Readers will learn how to use their intuition to solve problems, make decisions, come up with creative ideas, forecast their future, and even learn how to be in the right place at the right time. Karges reveals to readers proven techniques to program the subconscious mind for success including visualization, affirmations, and goal setting. They will learn how to use their subconscious to achieve personal goals and become the individuals they truly want to be. Karges also delves deeper into the power of the subconscious disclosing how to use dreams to solve problems and gain powerful insights about life. He reveals how it may be possible to know the unknown – how to exploit your natural psychic abilities. Readers will learn how to recognize these powers, develop them, and use them in daily life. Karges includes exercises, games, and stunts that help readers test and enhance subconscious skills, while amazing their friends at the same time.